Has it really been 12 weeks?! 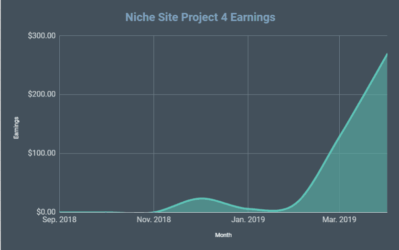 Even though I know that Perrin and I have put a ton of effort into our niche site project, I didn't realize it has been nearly 3 months since we started Niche Site Project 2! So, what do we have to show after 12 weeks of work? Well, quite a bit! 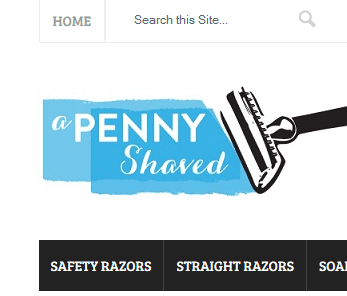 The site, aPennyShaved.com, is now near the top of page one of Google for the term, “best safety razor”. The site also is ranking for several other secondary terms, and continues to grow in natural search engine traffic. In addition, we are finally started to see some more consistent sales from Amazon Associates. Its still not much, but a sale or 2 a day goes a long way in building confidence – which helps us stay motivated to keep working on the project. I'll let Perrin share alot of the details and his thoughts below. However, we did have a chance to sit down and record another coaching call. You can watch the full video below. Watch a Higher Quality Version Right Here! Expired Domain – Outsourcer failed to follow instructions. Linkbuilder – Gave list to blog comment, and more instructions on how to build links. Takeaway – Watch early signs, early communication. We also mentioned in this video, the link building services of Anisul at SEO-Genius.org. Twelve weeks down! The last time we chatted, I was at the top of the second page. Where am I now? Front page! Aw yea. Do a little dance. I am. That’s not a surprise to most of you, since I hit the front page a couple hours after the last post. But it’s still super exciting! In the last week, I’ve been floating all over the front page. I was sitting at the bottom for a bit. Then I was back on the second page for like an hour. Then I was number six. Then I was in the top five. Then I was six again. Right now, I’m fluttering around the #3 and #4 spots. Not bad! In addition to slowly increasing my rankings, I’ve made some more sales! This is the most exciting thing to me, since my sales were pretty stagnant until now. But I’ve had one or two sales per day this week. Plus, most of my sales have been for shaving-related stuff, which means the site is finally starting to earn money from targeted, organic traffic! I’ve already beat last month’s earnings, increasing the revenues from about $7 to $11.36 as of the time of writing. That doesn’t sound like a lot, but at this point, every inch feels like a mile. As my ranking increases for my primary keyword, I’m also seeing my secondary keyword rise in the SERPS. For most of my secondary keywords, I’m on the second or third page. However, for a small handful of secondary keywords, I’m on the front page! Be the coolest thing by far is that for one of my best secondary keywords (a keyword with about 880 searches per month)… I’m in the #1 spot! That, to me, is pretty awesome, since it’s not just one article seeing success. The whole site is showing that it can rank. We’re making progress! But there’s still a ton of work to do. $11 per month is great, but the site still needs to prove it can make a lot more than that if I’m really going to hit the gas and build it into an authority site. First, I need to slowly add more content. And this is a bit of a tightrope walk. The reality is that we don’t know how well this site is going to earn yet. So, currently, it doesn’t make much sense to spend a lot of time adding content, especially if I’d be writing it myself. However, we still want to increase the traffic by targeting more long tail keywords, which means I do need to add something. So, Spencer advised me to add a few articles each week. 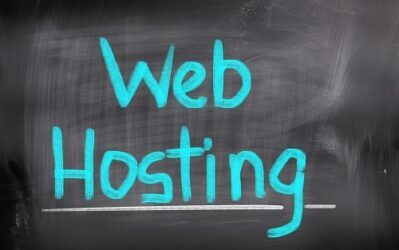 It will help the site keep growing; it will appear active in the eyes of Google; and it will hopefully bring in some additional long tail traffic – but it won’t require too big of an investment. I’m floating around the #3 spot right now. And really, I’m only worried about one competitor: LifeHacker (by the way, I totally brain-farted here; I almost linked to the competing page! Talk about shooting yourself in the foot… haha). Life hacker is in the #1 spot right now. Looking at their page, it’s not super relevant. It’s about razors, and there are a few safety razors mentioned, but it’s mostly just the results of a “What’s your favorite razor?” poll they administered to their audience. But it doesn’t look like they are specifically targeting my keyword. So why am I worried? Mostly, they have ridiculous page authority. They have a PA of 73. Seventy-three. That’s crazy! I know I’m not going to beat them on page authority. However, I am beating them on relevance. My page is laser-focused. In short, I think I have a shot – just because my article is much more relevant and useful. However, I probably do need some more SEO juice. How am I going to get that juice? First, I’m going to do a bit more networking. I’ll probably use a similar strategy as before, but I might target sites with links/resources pages of their own, since these pages often have high PA, which means I’d probably get a lot more out of them than a guest post. However, depending on how that goes, I might also buy a second round of PBN links from Rank Hero. With all the hullabaloo about being on the first page, not many of you guys told me how your sites are doing! So… how are they doing?? Great update! Really good tips for me to work on my niche site. Hey Perrin – Well Done. Haha, good job not linking to your toughest competitor. Beating a 73 PA seems tough, but a link from wikipedia can’t hurt. Why don’t you let us all in on your Wikipedia linking method? We sure would appreciate the tip. I can’t say I’m having the same luck as you are. Im finding link building to be the hardest part of the whole process and would really like to have some one on one help with it, mainly I think its about getting out of my comfort zone somewhat. I began a site in september before I had discovered spencers teachings, so my original key word research was waaaaayyyy off. And the sites main page was buried in the serps at spot 100 for over a month while i went and did other things. once i discovered spencers advice, i used it find a keyword i thought i could target, wrote a long article about it and set it as the main page of my site. overnight i began to rank at position 24 for that keyword. however by the time i did this i had spent a while building backlinks, google webmaster tools says i have 254 backlinks. however a closer analysis on majestic seo and aerefs shows that 80% of these are no follow, that one site alone (wordpress.com) is giving me over a 100 links (i don’t know how this happened) and that the rest are pretty weak links, (i didnt do any blog commenting, mostly those links were created with social adr and article marketing on hubpages, squidoo etc….). however heres the creepy part, i travel once a month to Boston from Canada and I notice that even though I use google.com (and not .ca) to search for my site in both Montreal and Boston, both sites I built seem to rank waaaay higher in Boston than they do in Montreal, weird I dont know why that is. as of right now sitting in Boston, my site is on number 18 of google, the other site i built is also at 18. as far as earnings go, i use adsense on one site and a combo of adsense and amazon on the other site. last month i earned $1.44 on adsense, this month im at $4.44 and have made one amazon sale earning me $0.38 commission. so although im seeing progress, i really just wish i had the magic button to figure it all out and jump into page one quickly. Let me know if you find the magic button! Contact me at my site and I might be able to offer some suggestions. It’s the US Thanksgiving tomorrow so it might take me a little time to get back to you. Please could you take a look at the download link for the video? It doesn’t seem to be working. Ah, good catch! Just fixed the download video link. Hello, I’ve a quick question for you. Your blog led me to create my own amazon-based niche website. Everything is set up (design,10 pages of content, on page SEO…). It’s been a week now since I published my last piece of content, and my site isn’t ranking for main main keywords. (not even at very high positions!). Althought all my pages are indexed in google. >Should I start building your famous first 100 base back links anyway? Yes, start building the base links. Give it 3 weeks or so before you expect to see much movement. I’ll start building the base links and see how it goes. Hi Ray – Congrats on creating the site. That’s a great accomplishment all on its own. The next 30-40 days will be what makes or breaks your site. It may be tough because you might not see any real movement. Keep building the links over the next few weeks and take another checkpoint. The link bilding strategy must pay attention to timing, for new domain it is so risky for a number of links in short time. Number Three on Google AND making coin to boot! Congrats Perrin. I can’t wait to sit down and go through the coaching call. I am excited to hear about the outsourcing aspect of your project as this is going to have to be a priority for me due to time constraints. One quick question: where were the outsourcing agents based? Congrats, Spencer and Perrin on the continued success! Thanks Allen…I’ll let Perrin respond here on the other question. I’ve been trying oDesk, but I haven’t been having much luck there, so I think for the content I’m going to try more of an order-based company (like TextBroker or INeedArticles). When I really decide to go full-throttle, though, I’ll probably try to find a dedicate writer. Not sure yet! I have been using TextBroker. I managed to find a level 4 quality author that has been able to give me some really good quality content. The advantage of TextBroker is that if you dont like the content provided, you can send it back for revision or even reject the article if needed. Thanks Andy. And happy Thanksgiving! Any tips on finding a suitable VA on odesk for kink building? How do you choose? If you watch the video, we discuss some of the things Perrin learned when looking for a freelancer on Odesk. You gotta get on that authorship, Perrin! My Site is doing good – well, kind of. Currently I get 300-400 visitors via organic search per day, but I am not able to monetize it well. But nice to see you are going ham, don´t stop! That’s some great traffic! Too bad you can’t monetize well – I assume you’ve tried multiple methods already: adsense, Amazon, CPA offers, etc. Hi Spencer! To be honest : I currently have 3 different streams of monetization at the moment: Adsense, Amazon and a Affliateproduct (via clickbank). My site is targeting the topic “home remedy for pimples” ( My site is not in english, so I can share the keyword without a problem ) and I guess I did not think enough about the keyword. People are looking for solutions, which don´t cost money, so they aren´t ready to pay money. Furthermore, most of the people coming to the side are very young and the affliate product is pretty expensive ( 45$, I am thinking of writing a own one is the way to go). 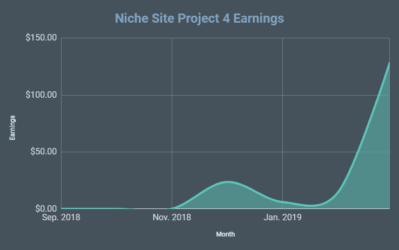 I guess for my next side I will think a bit more about my keyword 😀 But I still am adjusting stuff to improve the earnings, but I don´t think that the site will be that lucrative! Your right seems like your keyword is a research keyword not a buying keyword. People are just looking for information with that keyword. Great to see that you have a lot of visitors though. A suggestion might be to try and sell those visitors something like maybe a Home Remedy E-book or give it away for free to build an email list. Nice work as usual. I love these weekly updates as they definitely get me thinking. I also want to share some of my thoughts after I heard the discussion between you and Spencer. 1. outsource contents: I do not write any contents myself at all – I hate writing, so I use Elance to find great writers. Writers at Elance are cheaper than Textbroker, but quality was not lower at all. After dealing with 4-5 different writers at Elance, I am dealing with 2 of them exclusively now and always assign them a batch of articles at a time. This way I can save money (with more articles, I can bargain the price per article. Now I am paying about 1.2 cents per word with same quality as level 4 writers at Textbroker) and build relationship with writers at the same time. 2. Amazon click through rate: in my opinion, it really depends on the products themselves. I have two websites that I use exact same on page SEO setting, one with conversion rate over 10% and the other only has conversion rate under 3%. Of course you can improve you conversion rate through different tweaks, but it’s hard to use a fixed benchmark to measure all the products at once. 3. My strategy to improve Amazon conversion rate: Use Google Analytics to find the landing pages with most of the searches and tweak on page SEO. This is more effective than tweaking all the pages as with more traffic data for these pages, it’s easy to measure what works better. 4. The earning is directly related with the average unit price of the products you are selling on your site. What I found is that product with average unit price above $50 sells better than the cheaper ones. I am currently working on a site selling products with price range between $20-$30, even though I have average 50 unique visitors per day, my Amazon earning is close to $0, but the other site I built since August is earning more than $100 per month with 120 unique visitors per day. The price range of the products is between $30 and $150. I love the link bait strategy you shared and I will definitely give it a try in the near future. Perrin has the most powerful skill online. Your site will be, over the time the “go-to-resource” for buying razors.. The earnings will grow for sure. What was the name of that text broker alternative? Couldn’t understand the name. You’re on the way! Long tail will eventually kick in and you’ll be in the money. I’ve built four sites this year. The one I built in early spring is floundering a bit to the tune of around $100 a month. Still adding content and building links but at a pretty slow rate. Had a nice nice month with it that brought in about $400 on 100 daily visitors so I’m going to keep slowly pushing. It is climbing the serps. The late spring one is still a work in progress. I’ve lost money on that so far but it’s still earning a bit every month. It is also still climbing the serps. Needs a little love but I might sell it as it was harder to rank than I was expecting in this niche. The one I built this summer is making about $800 a month. It’s about time for more content and then some more links. But I need to give the first two sites I built this year a push first. Built my 4th and final one for the year last month. Content is loaded and I’m still in link/relationship building phase. Scored some nice links so far. I already have a site in this niche so I know I can penetrate it again and do it better this time. I built the first site about 3 years ago. Dude, that’s awesome! That’s a whole lot of success. Congrats! Quick questions if you don’t mind. 1. Are these Affiliate / AdSense based sites? 2. How often are you updating the site? E.g. daily, a few times a week, monthly etc? Onwards and upwards and may the success continue! Thanks Zaheer. Yes they are either adsense or affiliate based. I promote physical and/or electronic delivery products like clickbank books. Updates are more like monthly. There’s no rhyme or reason to when I add new content other than traffic seems to be dipping a bit. When that happens I’ll add content/links or both. http://www.iwriter.com has worked well for me for content! Great Job Perrin on getting to first page! Spencer, I followed everything you recommend 10 articles, quality content, proper SEO plug ins etc, and as soon as site went live it was ranking top 60 through 80 for “target” keyword and various long tails. I started blog commenting and web directories and have not done anything else. After about a month and a half entire site “target” and “long tail” keywords are gone from google – (500+ longtail pltnm) . I have removed all affiliate links (Amazon associates, Adsense), I added links to authority sites on each post (per Perrins advice), added a www. to webmaster tools. Pretty much done everything that has been recommended. I have not received any penalty info or message from google? First, should i continue to build links – could that be what dropped me completely from google? Second, You mentioned on a previous post that someone was going to review your site and see if they could find anything else that may be affecting rankings. Is this a service that we could get as well. I am in the same situation. My site initially had a bit of ranking, but then sunk out to the 500+ region. My content is decent, I have varied links (even one or two from RankHero) and few Amazon links. I even switched hosting providers! Andy, Good to know that even switching service providers may not help. Would love some advice on how to review site for possible google no no’s. Anyone have any recommendations? I think if your content is okay, SEO onpage is okay, then no worry. It’s may be google dance happening with all new sites. Wait a few weeks! If you leave it at 10 articles, I’m not sure if Google is going to see that as a site with a ton of valued content even if the content is well written. That is something more of a micro niche site which, in general, aren’t doing the best. I would suggest adding some more content so it appears as active in Googles eyes. You also definitely want to keep link building, but make sure you’re doing it on relevant sites and not low quality sites as this will help. Also, keep in mind that for a while you will see your site jump around a bit. Some sites take longer to stabilize their rankings than others. Finally, check your on page SEO to make sure that you’re hitting on the most important aspects such as the keyword in title tag, url, using it a couple of times throughout each article. But then had some internet connection issues for the last couple of weeks and couldn’t even do some proper research to write my first 15+ articles yet! But, I am back again and PUMPED to take off where I left things and get those articles written ASAP. Luckily for me as with Perin, content writing is what I do for a living (among other useful things like web design) so I should be fine with that part of the job. Link Building – This will be my biggest challenge as this is a subject I know absolutely nothing about (except relevant blog commenting of course) but alas, I signed up for Jon Cooper’s Point Blank SEO Link Building Course quite some time ago so this will be the time I get down to the link building drawing board (after following your recommendations on each coaching call of course). I’m also planning on writing an eBook in the form of an “ultimate guide to…” and selling it on the website through a service like JVZoo or something similar. With a good number of monthly traffic, an appealing visual of such a guide selling at anything between $5 and $10 I should be fine, right? Don’t worry about AdSense vs Amazon. Really, you should probably test which monetization methods are best for your specific blog, but AdSense is typically easier, I think (just because there are less steps from new visitor to conversion). Keeping my fingers crossed man! Sounds great Ruan…best of luck! I’m struggling with a decision right now. I have discovered a niche with quite a bit of traffic, but many keywords are ” for sale”. Most of these keywords are 26 competition rating in LTP, but I’m hesitant to go for this. Who’s in the top 10 in the SERPs? I’ve two nice sites, one of them is not ranking :(. But the other is start ranking in google, some long tail Keywords are at #5 :). I’d like to know how often you check the position of your Keywords, and did you check all keywords or just the keywords that bring traffic to your site? I check every morning, but that’s mostly because it’s exciting! I find when I input more than one keyword row into LTP, I get the pop-up from Google wanting me to input the code to prove I am not a machine…very annoying. Is there something I can do to avoid this? I love LTP (I use it all the time) and its the best for Keyword research and competition but i also find the Check Rank feature to take forever and I also keep getting the google Captcha (My average delay between google requests is set at 3 sec). Is their a fix for this or another tool any can recommend? for checking my rank i use http://smallseotools.com/keyword-position/, it works great and its free. The smallseotools have some other useful tools. Excellent news. The site is currently sitting in #3 as I type this. Just wanted to say thanks for all the updates and motivation. Its been a while since I built my own sites but you guys have really pumped me into rolling up my sleeves and start again. Well done, keep up the good work and I really wish you every success and thanks for sharing everything. Also, a side note Spencer, could you please do a tutorial on how to use the correct syntax for the Include/Exclude functionality for multiple keywords in LTP? It would really be much appreciated. If you are inputting more than one word in the include/exclude; the words just need to have a comma between them. Word1, word2, word3, etc . That’s it. Hope that helps! Appreciated, so is it correct to assume that I should use ” ” for a phrase? It’s always nice to see your own niche site start to earn a better income and bring in more traffic. Hey dude. Great work! I would like to knowdo you build link to the “best safty razor” page so as to boost it high or just build links to the whole website? Both. When I bought PBN links from RankHero, I split them: half to the home page, half to my primary target. I am now spreadin links all over the site. And my primary keyword is floating top and bottom on the 2nd page for a week or two. Look like I should focus more on the primary page. 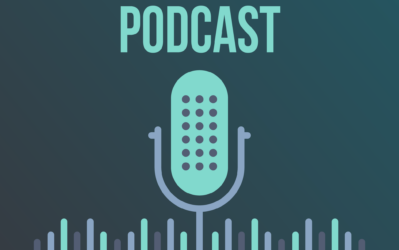 One question that Perrin could have asked a little more in depth about long tail keyword ranking is : How are you ranking for your long tail keywords for Bestsurvivalknifeguide? I’ll speak from my experience on this. Quite honestly, I don’t really focus too much on how my longtails are ranking. I focus more on the visitors I’m seeing in Google Analytics. I’ll give you an example. My site is currently ranking #2 for it’s primary keyword, and in October, overall I would see anywhere from 150-250 unique visitors daily. But, I added another 10 or so articles to my site, and that has bumped up to anywhere from 300-500+ unique visitors daily. So this month I am adding even more content to the site. So from my standpoint, I’d just focus on your main keyword(s) depending on how you’ve approach your site. The longtail traffic is going to come for those that you specifically target that are lower competition. As far as earnings I’m getting with this process. I make ~100/month from Adsense, ~300/month from Amazon, and anywhere from 200-500+ from another affiliate program I use to monetize the site. If you keep developing this website to an authority status it should work fine and rank high for many keywords. What went wrong with the outsourcers?? Could you write on that more? Maybe do a post with helpful information on how to choose outsourcers and not get into situations like this when 2 of them fail. Having worked with outsourcers in my real job and also outsourcing for my website. Normally you need to be very specific on your expecations and requirements. It has to actually be quite structured so they can follow it to what you want. Great work! I have been following your progress since the beginning. You and Spencer inspired me to start my own niche site. Thank you guys for everything. I noticed that when i type in “a penny shaved” in google you now rank 1#. Bravo! Just a question, how did you get Google to feature your sitelinks! on the search page. Thats awesome dude! I love these updates, they are very interesting to see the whole process that you are going through. Have you considered the next niche site you are going to build? What’s the future plan for this one?? Are you going to let it earn for 6 months or so then sell it, or will you keep it and add new sites to your portfolio to build an ever increasing income stream? Not sure. If I manage to get it up to around $500/mo, I might sell it just to have some capital to grow my business. That seems pretty far away, however, so I’m focusing more on the next couple of weeks! I’ve actually considered the same thing. I’ve considered selling the site so I could branch out to build some other sites, but right now my site has quite a bit of room to grow so I am very hesitant about selling it when I could potentially earn 1k+ with the site as it grows into more of an authority site. It took me a few months to start bringing in money, but it eventually will happen as you start getting more traffic. Perrin/Spencer – Ahrefs is showing as many as 1300+ links to your site. Is that the amount of links you built or someone is attacking you again? If you built that many links, can we know what you are using other than rank hero? This many links cannot be blog comments/directories I feel. Would love to know what you are doing. At the end you said, someone contacted you for link building who is good. Can you please give that person’s contact? Link bait technique reach out by making connections is awesome. thank you for sharing! I was wondering how you control your 100+ base links? Aren’t you afraid of being placed on rubbish websites? To check rankings dont forget to get the browser in privat mode, clear cache and set your location on countrylevel. You were logged in, so you get personalized SERPs. Google can see you’ve clicked apennyshaved.com a few times. 1) Make sure your keyword is mentioned in the title, and TWICE in the article. 3) 2 internal and external links that are content related. Also, each article is 500 words minimum. Great progress this week Perrin! It’s a great feeling when your site finally finally makes that first page. In the last couple days my site has cracked the top 2 for my primary keyword. Traffic and revenue has really improved, and I’m sure you’ll see the same thing once you get higher up on the first page and you start ranking for more long tail keywords. Hey perrin, I love following your progress! Quick question, what do you mean by you need to see if its worth putting more content on yoir site? I have a site that I’m building out to 100 articles before I build backlinks…is this a bad idea? So far my rankings are pretty putrid. Great work guys, keep it going! Congrats on the rankings! Also Perrin I just fully watched the solo video you made with your writing process in it. GREAT STUFF man really helped me realize some things I can do to quicken and improve my writing process. I think Perrin’s website is prone for a big jump soon with all the quality links ,Rank Hero and guest posts he has build, so hang in there Perrin and do not be discouraged by the slow start and slow earnings. Spencer, what happened to the one business book a month posts? I loved those and your thoughts on them, perhaps you may consider bringing them back. Thanks for the reminder Nick. I still am reading the books – I just felt like I was doing too many monthly blog post re-caps. I’ll definitely recap my annual goes though in January. Hey Perrin, your niche site is progressing pretty nice ! whereas mine is playing between 2nd and 3rd pages of the big G. I am in the process of finding some relevant high PA sites for some juice. Any suggestions would be highly appreciated!! When I begin linking building I usually do two things. 1. Pick my top three competitors and create a list of all their backlinks. I then proceed to leave my link all the sites possible. Usually by doing “as long as my on-page is 100%” this is enough to rank alone. 2. Find some high page rank/good metric expired domains “5-6” and build out sites on them completely related to your niche. i.e. If i was targetting perrins niche I would create on the following niches. Perform keyword research for said sites as these are going to then at least be paying for themselves plus extra. Build more high quality links to your little network and main site with general techniques. Within a 6 week span let each one of your other sites link to your main. Each site should have their own twitter/facebook and should NOT be built for the sole purpose of links. If you actually attempt to rank these sites too the links will be very powerful and you won’t get a big slap from Google when their next update is realised. Also every single link you create should be put in an excel document with the URL where you left the link, page rank and date. This then lets you analyze what you did once your ranking and find what was most effective. Not to mention the work’s cut in half should you target a market in the same niche as you already have a network and list of sites to get links from. If you repeat the process again your have 15-20 in your network. Always aim to have these make £10/month, purely for mentality reasons when you approach the project. Try the link bait technique we outlined in last week’s post! So far, that’s the best ROI outside of PBNs I’ve found. @LeeJohn: Thanks for the valuable reply bro ! I really like your website, and I had one question I never really understood. When reading your niche site making articles. I dont really trust the typical armchair warrior who makes 20$ a year so I wanted to ask you. Hi, i’m a tad confused on keyword research. Let me explain. I suppose Barbeque Reviews is my primary keyword, yes? Well lets say Barbeque Reviews gets 22,000 monthly searches, but is extremely competetive, Very Difficult according to Research Software and Google Top 10 Search. Most guides ive read at this point would say pick another topic to affiliate. I think even you said this when choosing your survival knife site. However, what if my secondary keywords (individual product models) (the things that will lead to sales) are getting good searches with low competition? Would this still be bad to pursue creating “barbequereviews.com” ? While the primary or domain keyword is way too competitive. The secondary keywords or products, the bulk of the site are low competition. But everywhere I read seems to suggest otherwise. Arent the product searches more important than the primary? Should barbequereviews.com still be pursued in this case? What a great series of videos and info. Thanks to you both for laying it all out there and explaining your process. I feel like I’ve got ‘box set binge’ They we’re pleasurable to watch, even if you do say niche kinda funny for my English ears. I’ve been looking at your site Perrin. Great design & very professional looking. Getting on the first page for your chosen term is really fantastic. It is not obvious, but this site has scattered the words ‘buy’ and ‘purchase’ on this page. Your site is, I believe, not appearing on the first page for this second term. You do mention ‘buy’ a couple of times but it is quite far away from the original search term therefore google is putting no value on it. I know google is not reporting any traffic on this keyword phrase but this does not mean there isn’t any & if you can rank for two keyword phrases from one page that’s a great bonus. Good luck with it all, can’t wait to learn some more. Hey guys, hoping someone has some advice for me. I set up a niche site a while back ago that has turned into a fairly successful authority site. I never paid much attention starting out to ranking whatsoever. I just basically wanted to start writing for myself instead of writing content for others and didn’t know much about the site owner side of SEO. I bought a domain, started writing content in a niche im familiar with and have a passion for and 70ish articles later im making arounf 250-300 a month in adsense revenue and $50-75 a month in sponsorship banners. The problem is that 90% of my traffic is all referral traffic that I get from article syndication from aggerators in my niche and social media posts…and to continue that traffic and revenue I have to keep updating content several times a week. My front page isnt even optimized for a keyword…its literally just a listing of my posts with no static text. I originally did no keyword research at all but have noticed that a handful of my posts have “accidentally” done well ranking-wise for a few lower end keywords and im getting around 50-70 uv’s from google every day but after looking at some of the traffic results Im seeing for others, this is nothing compared to what I should have with this much content on my site. my question is, is it worth changing my front page to a static page and trying to rank for some keywords even though the site is 9+ months old? Also, is it worth going back to my back articles and trying to optimize them for some relevant keywords as well to get them ranking? Im wondering if changing these past posts too much (especially optimizing the titles and the links) will hurt me since there’s so many old links out there pointing to the existing content as it is. Anywho, hope someone has some suggestions for me. I wouldn’t necessarily worry about changing your homepage. However, you might want to find some larger/general keywords that you are interested in ranking your homepage for. Then perhaps just change your site title to include those keywords, also might build some links relevant to those new keywords you hope to rank for. Finally, it might be worth keyword optimizing some of the individual post titles to match keywords. Don’t mess with the ones that are doing well. I now can understand how exciting and joyful it is to make few bucks online with own website. Because I earned my first $5.20 from my very first Amazon affiliate website in November. And I felt soo much happy with it. Of course its nothing compared with other’s earnings who makes from affiliate business. But for me, this very small $5.20 gave me hope and confidence on the path which I have chosen to walk. Unfortunatly at the time of research process for my niche idea, I did not discover nichepursuits.com to learn proper tools and research lessons. So ended up finding a keyword which is a high competitive in the market. After two months of site setup, and with only 6 product description/review articles, I was able to get 2 -3 visitors per day. Most keywords I optimize my site are ecommerce type. At first I was lost hope and disappointed with my site. But accidently I came across this website while researching for more tips. After reading great information and tweeks I was encouraged once again. And finally one day I checked my Amazon affiliate dashboard. To my surprise I got $5.20 as my commision for a product which is priced around $140 or so. Even more surprising thing is I got commission for a product which I did not even promote on my website! Now I’m in a position to make a decision. Please help me to take a better decision. After 2 months my site is still not ranking that well but I am working on it. I am getting some long tail traffic, mostly from Bing. So far I’ve gotten 155 unique visits and 27 clicks on my Amazon ads, but no sales yet. I’m wondering how many visits on average does it take you to make a sale? Or anyone reading these comments for that matter. Thanks. Great to see that you’re making the first bucks. I love reading the updates. I went to your website apennyshaved.com which I found clear and well balanced in terms of text weight vs images, etc..
http://www.apennyshaved.com/reviews/truefitt-and-hill-shaving-creams-review/ (shave, scent, design, price etc). I find that so cool and eye catching. Is that a plugin? Thanks for letting me/us know when you have a minute! You mean the review block, i think this is a paid plugin, I know a free solution, check out hReview. I did download hReview but I don’t end up with the same kind of review block (mine looks lame) or maybe should I spend more time on it. I just thought that one review block from Perrin looked awesome, very web 2.0. 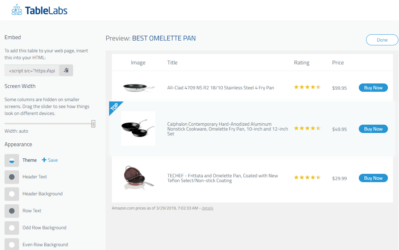 One question I don’t seem to be able to find addressed was how did you get your XML site map to include your reviews? You have inspired me to finish my half finished niche site over the past few days of watching your videos. Thanks! I also noticed some people have ‘profile pictures’ in your comments section, but there is no option for it in the ‘Leave a comment’ section. Is this a Google authorship thing, or something I am missing entirely? I ask as this has happened in other blog posts I have commented in and in my reading experience I tend to give more weight to comments that have these avatars associated with them more so than ones without.